Sighting and slap opponents. The basic combo (only B) For use stronger opponents in a favorable moment. When the strongholds Sprint combo conquer make. Simply by storm. Epona is fast. One advantage that should be used. To Unlock the Master Sword, it is sufficient to unlock all level 3 weapons of the main characters. 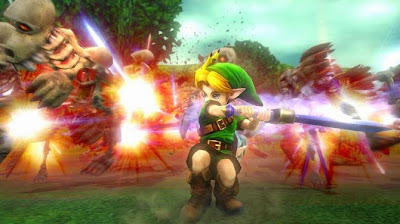 For most characters, however, it is helpful to unlock only the Level 2 and then the Level 3 weapon because otherwise the fighting make more difficult. The DLC characters do not count here.